The spring auction season is in full swing with all the major auction houses gearing up for their sales across the globe. One such stop is the Important Watches sale by Sotheby’s taking place in Hong Kong on April 6, 2016. The major highlight of the show is a complete 12-piece set of Vacheron Constantin Métiers D’Art “Les Masques” – an incredible collection that is estimated to sell for anywhere between $1 million to $1.5million. Aside from the Vacheron Constantin watches, other lots include an impressive array of luxury watches from the best watchmakers in the world including Patek Philippe, Richard Mille, and, of course, Rolex. 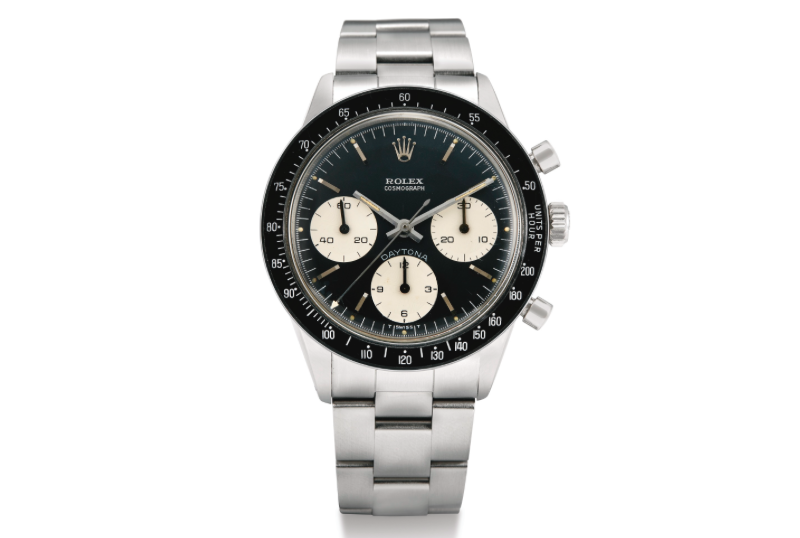 Here our top three Rolex picks that will be up for sale by Sotheby’s. 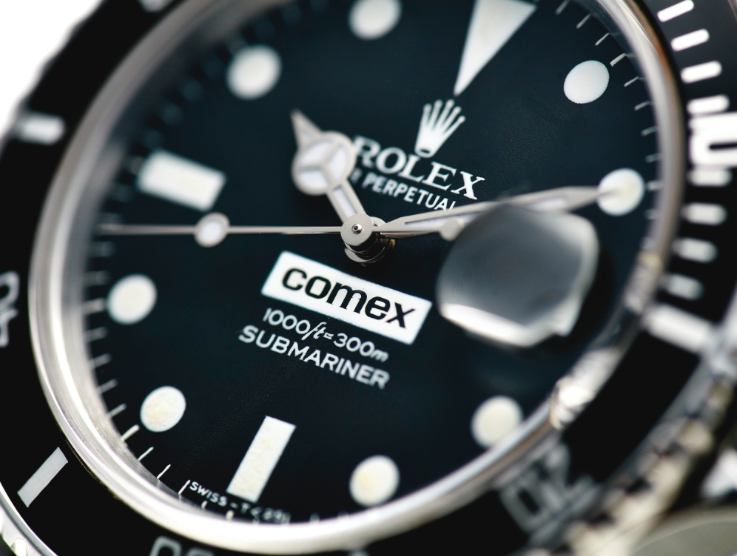 The relationship between Rolex and COMEX dates back from the 1960s where the Swiss watch manufacturer would supply the French company with diving watches tough enough keep up with professional divers. This particular COMEX Submariner ref. 16800, circa 1982, features the characteristic COMEX label on the black matte dial and the COMEX engraving on the caseback and is waterproof to 1,000 feet. It does not, however, come equipped with the Helium Escape Valve like some other COMEX Subs. 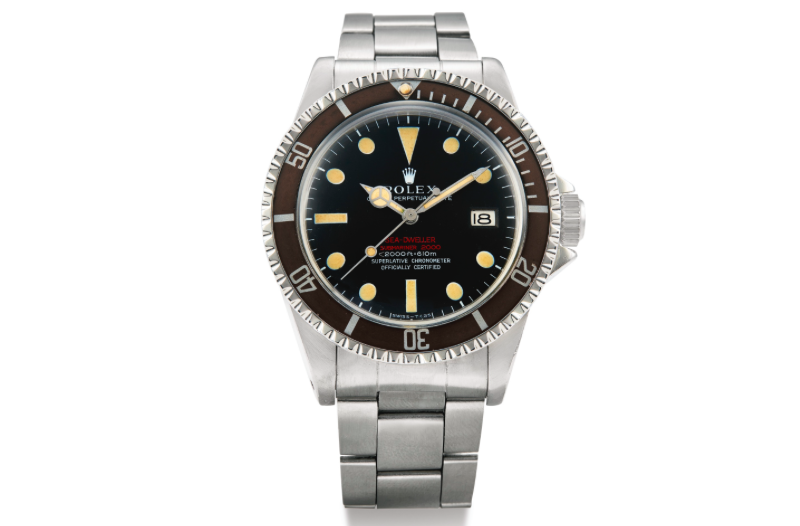 The COMEX diver’s watches are always in demand by collectors and this one will surely sell for a pretty penny. The Cosmograph Daytona ref 6264 is a classic watch and it was one of the two last Daytona references that came equipped with the push-down buttons prior to the screw-down pushers of future models. Produced for a very short period of time, ref 6264 has been referred to as a transitional reference and its most notable feature is the black bezel insert with printed graduations. The matching black dial features the white subsidiary dials and the “DAYTONA” label above the 6 o’clock subdial, which was originally white but turned into a distinct light blue color over the years. A member of the already highly sought after Daytona family, compounded by the very short production period makes the ref. 6264 a very desired collectible. The Rolex Sea-Dweller ref. 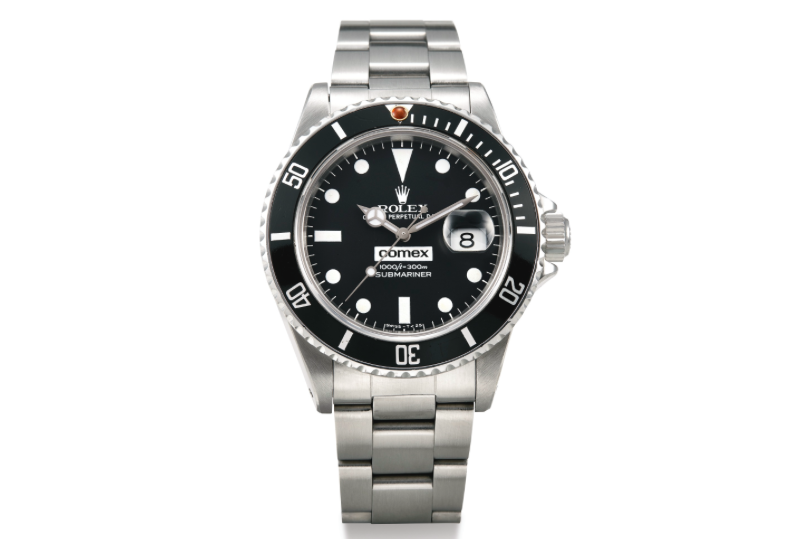 1665 was born out of the need for COMEX to equip their divers with a watch able to reach depths further than what was currently available on the market. To achieve this, Rolex invented the Helium Escape Valve (HEV) to allow for pent-up gasses to be released from the watch during decompression periods as to avoid combusting from the difference between internal and external pressure. Rolex outfitted the Submariner 5513 with the HEV and the Sea-Dweller was born with a waterproofness of 2,000 feet. Four distinct dial versions of the ref. 1665 were produced with this particular watch sporting the Mark II variation. The most distinguishing characteristic on the dial is the bright red two lines of text, hence the nickname “Double Red” Sea-Dweller (DRSD). This vintage Sea-Dweller up for sale boasts a “tropical dial” that has turned into a warm brownish dial that beautifully compliments the “brown” (also an effect of aging) bezel. The DRSD enjoys a very loyal and proactive fan base who would be surely happy to get their hands on this beauty.